Dr.Singh is originally from Cleveland, OH, however was brought up and raised in Clearwater, Florida. 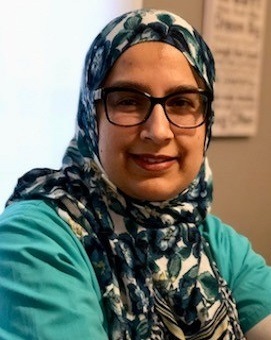 She received her undergraduate education from the University of Florida in Gainesville, where she graduated in 2006 with a Bachelor of Science degree in Psychology and then subsequently her Doctorate of Dental Medicine degree in 2010. She then furthered her clinical practice by completing a General Practice Residency at Montefiore Medical Center in New York and then an Oral Oncology fellowship at Memorial Sloan Kettering Cancer Center. She then returned to Montefiore Medical Center to complete her 2 year speciality training in Pediatric Dentistry. Dr. Singh is an active member of the American Academy of Pediatric Dentistry and is an American Board of Pediatric Dentistry candidate. She has a strong passion for community outreach and has volunteered abroad in Ecuador. Her goal is to provide high quality dental care for children in a nurturing, fun and compassionate way. In her free time, Dr. Singh loves to travel, practice yoga, and spend time with her family. 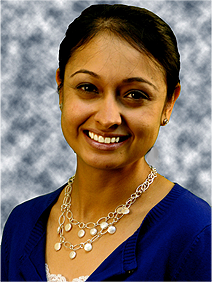 Dr. Amy Patel, our Pediactric Dentist, is a New Jersey native, born and raised. She attended Villanova University for her undergraduate studies as part of a seven-year accelerated dental program. She continued her education at the University of Pennsylvania, School of Dental Medicine. 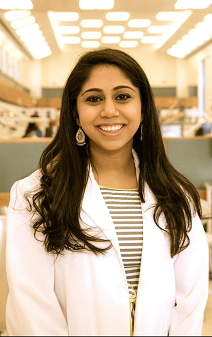 After graduating with Honors, she pursued a two-year pediatric dental residency at Montefiore Medical Center. There she served as the chief resident and also received advance training in treating a diverse patient pool including healthy, medically compromised and special needs children and adults. She also has extensive experience in use of nitrous oxide and advance behavior management. Dr. Patel is an active member of the Academy of Pediatric Dentistry. She is an ardent advocate for underprivileged children and has spearheaded volunteer initiatives both domestically and internationally. In her free time, Dr. Patel enjoys going to her local Crossfit gym, making DIY crafts, and playing with her niece and nephew! 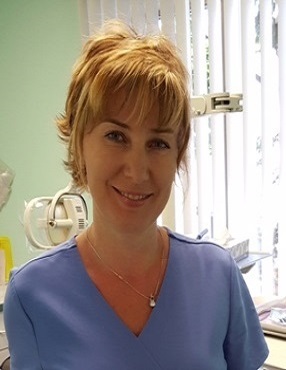 Dr. Hanna Aviarbakh first attended the prestigious Minsk Medical University in Belarus where she earned her Dental degree in 1997. After immigrating to the United States, she continued her dental training at the New York University College of Dentistry, which is one of the world’s leading centers of health sciences research, patient care, and education, where she earned her Doctor of Dental Surgery degree. She received the distinction of being inducted into Omicron Kappa Upsilon (OKU) the National Dental Honor society. She further advanced her education by completing a dental residency at Woodhull Medical and Mental Center in Brooklyn, New York. Dr. Aviarbakh is dedicated to the newest advancements in cosmetic dentistry and keeps up to date with latest technologies. A personal goal of her is to deliver dentistry with personal and caring touch and to educate patients about the need for proper oral health. Dr. Aviarbakh is a member of Academy of General Dentistry, American Dental Association, American Academy of Cosmetic Dentistry. 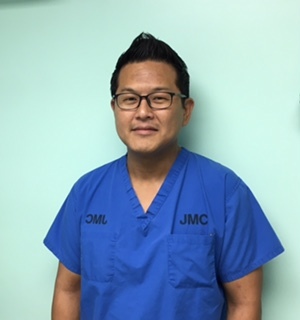 Dr. Won-Sang Lee , our Oral Surgeon, was born in Korea and grew up in Montreal, Canada. He came to New York City for dental education at Columbia University and completed dental school in 2005. He went on to complete Oral and Maxillofacial Surgery training at Beth Israel Medical Center/ Jacobi Medical Center in Bronx. NY. Beside private practice, he also serves as an Oral Surgery attending at Metropolitan Hospital Center in NYC which is one of the primary training site for New York Medical College, Oral and Maxillofacial Surgery Residency program where he supervises facial trauma and orthognathic/corrective jaw surgery cases. He currently resides in Northern NJ with his wife and a daughter. 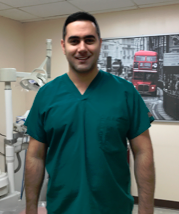 Dr. Rustam Zakiyev is a general and cosmetic dentist at Pangborn Dental Center. He was born and raised in the Republic of Azerbaijan where he graduated at the top of his class from Dental School receiving degree of a Dental Physician. 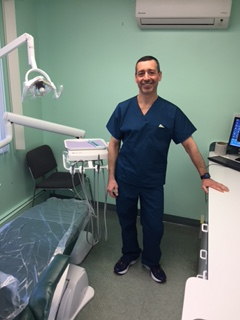 After relocating to the United States, in order to pursue his dental career, he continued his education at Rutgers School of Dental Medicine, formerly University of Medicine and Dentistry of New Jersey and earned Doctorate of Dental Medicine in 2014. Dr. Zakiyev utilizes latest technologies available to provide dental treatment and restorative work. He is committed to continuing dental education and strongly believes that professional doctor-patient relationship is one of the main aspects of modern dentistry. Dr. Aneeza Rehman is from Lahore, Pakistan. From an early age, she knew she would pursue a career in health services. She chose dental degree over one in medicine as her own dentist inspired her. She graduated from De’Montmorency College of Dentistry in Lahore with top honors. Upon relocating to the U.S, she went to NYU College of Dentistry and graduated with DDS degree in 2014. She is a member of Academy of General Dentistry and American Dental Association. She enjoys doing all dental procedures and especially root canal treatments. She thinks that being empathetic coupled with good chair side manners makes even the anxious patients comfortable with her. She is committed to Continuing Education and is always eager to keep abreast with the latest advancements in the dental field. In her free time, she enjoys spending quality time with her husband and children.